We think providing our customers near West Warwick, Providence, and East Providence the most competitive price on their used vehicle is a great way to do business. That said, now you can take advantage of Live Market Pricing at any of our Balise-named dealerships. 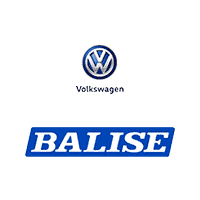 If you’re in the market for a used vehicle, then we invite you to visit Balise Volkswagen at your earliest convenience. Where technology meets common sense. Used car Live Market Pricing is achieved by analyzing thousands of comparable cars in our market each day to ensure that every single customer receives real-time Value Pricing on every used vehicle at Balise dealerships. Balise Volkswagen doesn’t play pricing games. No games, no gimmicks! Balise Volkswagen doesn’t artificially inflate the prices on used vehicles. And winning a negotiating contest is not an effective way to earn your trust for years to come. Instead, you can expect upfront pricing and honest service. You’ll save time and money. We understand our customers have busy schedules. Sometimes our guests even take time out to visit us from Pawtucket and Attleboro, MA. if you would like a complimentary “Live Market View” on any of our used cars, just ask any member of the Balise Volkswagen team. If you have any further questions about Live Market Pricing or how it can benefit you, please give us a call or contact us online. When you’re ready to purchase a quality used car, we hope you’ll think of us.